Ringly Bluetooth Connected Smart Ring - Moar Stuff - You don't need it but you know you want it. Ladies, this one it for you. How many calls or important texts have you missed because it was so loud in a bar or restaurant you couldn’t hear your phone? With the Ringly, that won’t happen again. 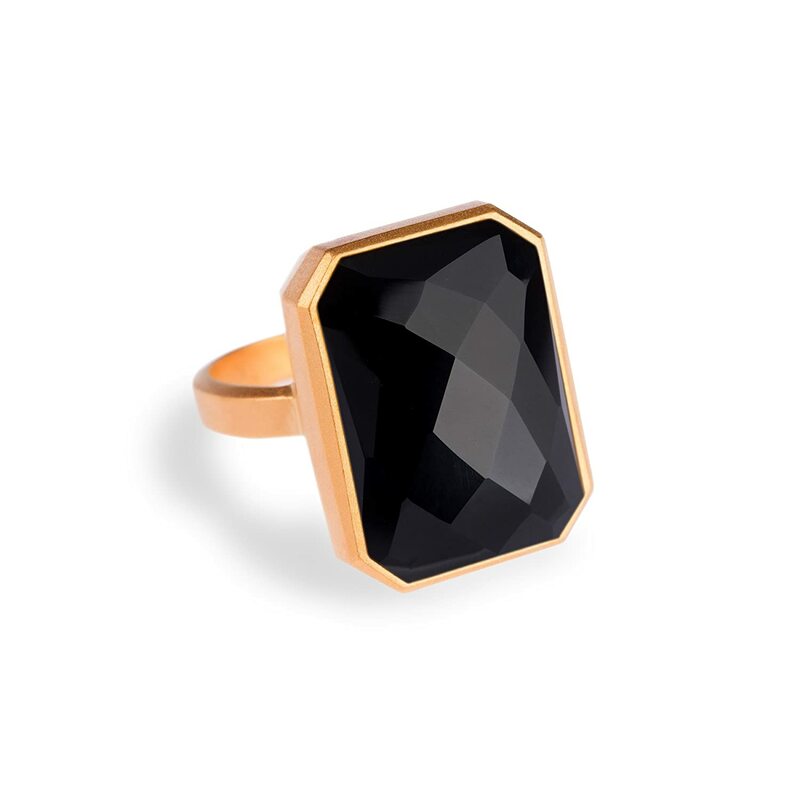 The Ringly is a “smart ring” that connects to your phone via Bluetooth and lets you receive custom notifications through vibration and subtle light when you receive calls, emails, texts, etc.​ Once connected, it discreetly buzz and light up when you receive any such notification. So that your ring won’t flash and vibrate every 10 seconds, the alerts are customizable. You can control what comes through, and can filter out the rest. Get a Black Onyx Ringly that also includes an activity tracker. 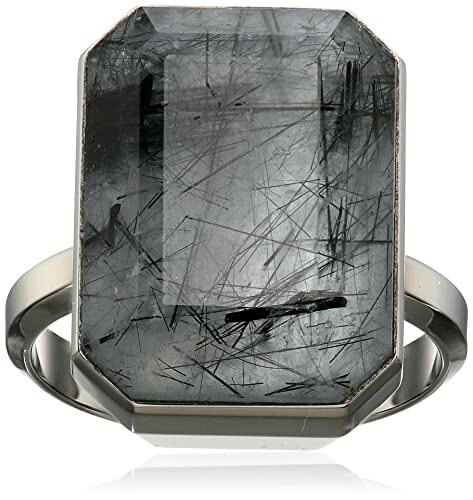 Get a Tourmalated Quartz Ringly that also includes an activity tracker. There are multiple styles, all of them featuring semi-precious gemstones and a beautifully designed setting. The one above happens to be Gold and Rainbow Moonstone. If you prefer a different style, there’s also one With Black Onyx and one with Tourmalated Quartz. As a bonus, these models also include an activity tracker function to help you with your fitness goals. Oh, and guys, it should be pretty obvious to you that this would be a great gift for your lady. Let’s face it, have you ever gotten in trouble for buying her jewelry? Dimensions: 3.8 x 2.9 x 2.5 inches. Works with iOS and Android.